Last September in Malta, my friend Anthony kept trying to take me to one of Malta’s best traditional bakeries, located in Ghajnsielem, so I could try their Biskuttini tal-lewz. Biskuttini tal-lewz translates to mean “biscuit with almonds” or, as we know them, almond cookies. 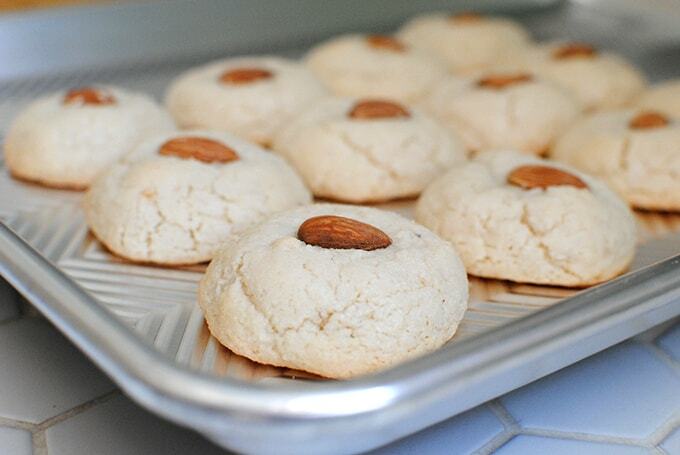 You’ve probably had these kind of almond cookies before. They’re rich in almond flavor and when you bite down into them, their crispy outside gives way to a soft, tender middle. And, they’re pretty easy to customize. 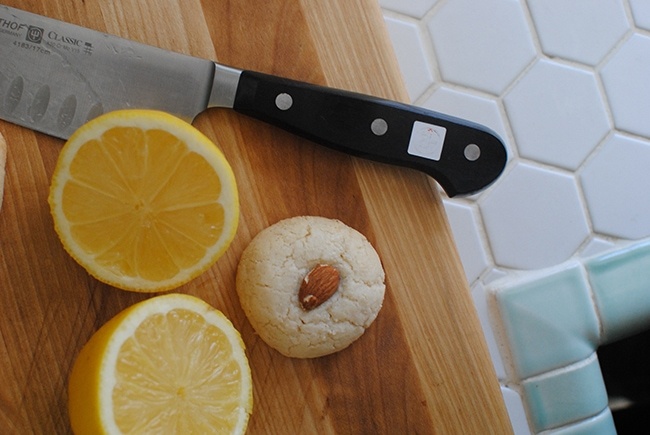 I tried two different recipes, one was more almond-centric and uses almond flour and almond extract and another that uses almond flour, lemon juice, lemon zest, and vanilla extract. I must say, I prefer the traditional almond flavor. The other just tasted like lemon. I also discovered during testing that the texture is much better if you put them in the fridge for at least an hour. I left them overnight, but an hour should be just fine. By refrigerating them, you’ll prevent the dough from spreading during the baking process and that will give you those delicious melt-in-your-mouth cookie centers. One of the things I love about this recipe is that it is dazzlingly simple. It only has five ingredients. Five! 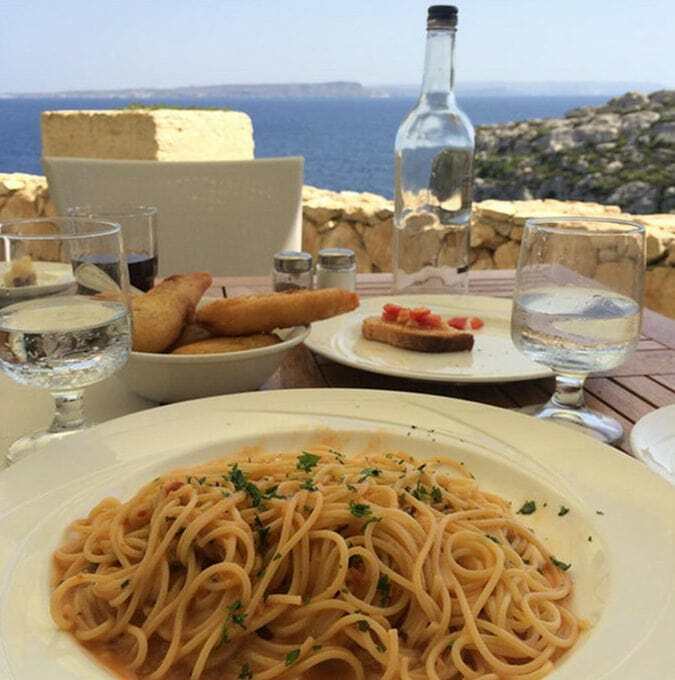 My trip to Malta was filled with simple pleasures — ice cream on the beach, cold beers in pubs when we needed to escape the blistering heat, push-ups in the Gozo catherdral — so this recipe fits. All of that said…I made one teeeeeeeny tiiiiiny change. Ok, maybe not all that teeny tiny. 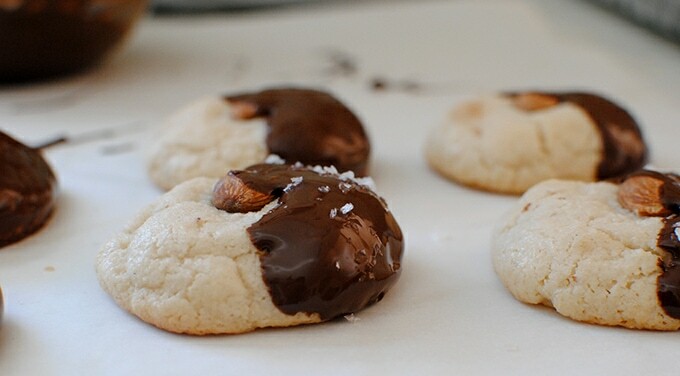 I decided to dip the cookies in tempered dark chocolate and top them with sea salt. And wooowheee! AMAZING. Almonds plus sea salt plus dark chocolate is one of those classic combinations that just keeps delivering. Whichever way you choose to go — classic or dipped in dark chocolate — let me know! 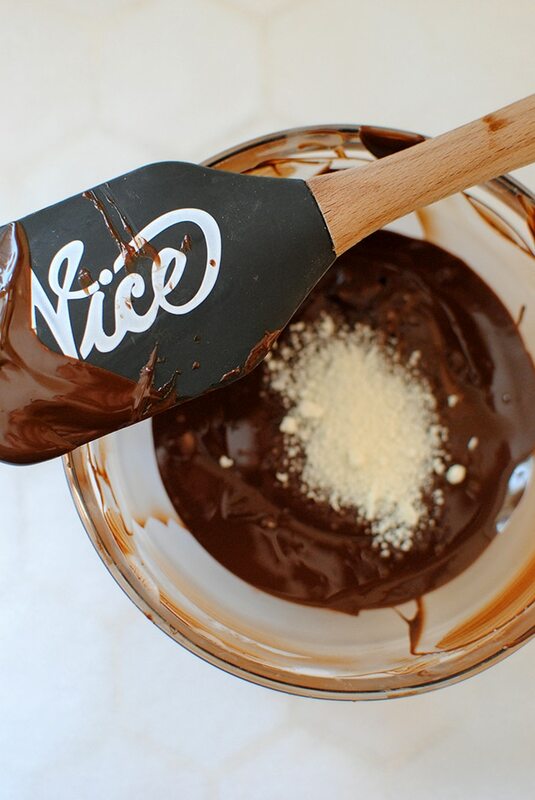 Combine almond flour, sugar, almond extract in a medium bowl. In a separate bowl, whisk egg whites until slightly foamy. Add to almond flour mixture. Roll mixture into 24 balls and place twelve on each sheet. 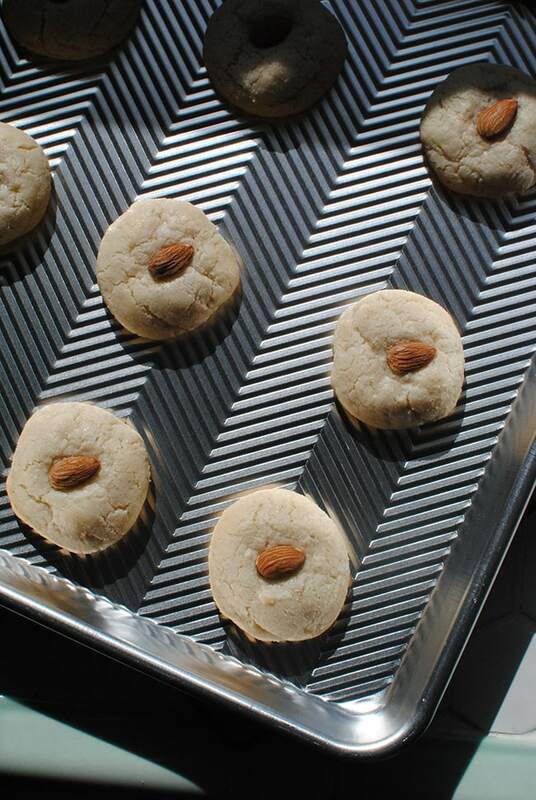 Top each one one almond and bake for 15 minutes or until golden around the edges. When cookies have cooled, place dark chocolate in double broiler or in microwave and heat, removing every 30 seconds to stir, until 104-113° F.
Let cool to 93-95° F.
Add Mycryo and stir until fully combined. 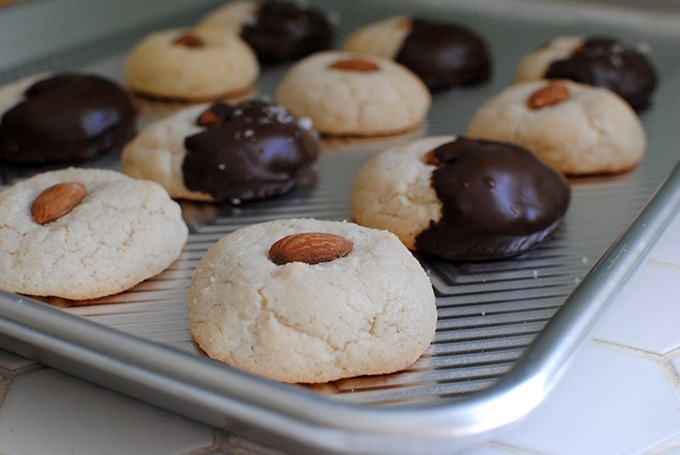 Dip half of almond cookie in chocolate and place on parchment paper to dry. I just bought a bag of almonds, so this is going to go down later ! Yum! Oh yes please, my god these sound amazing! 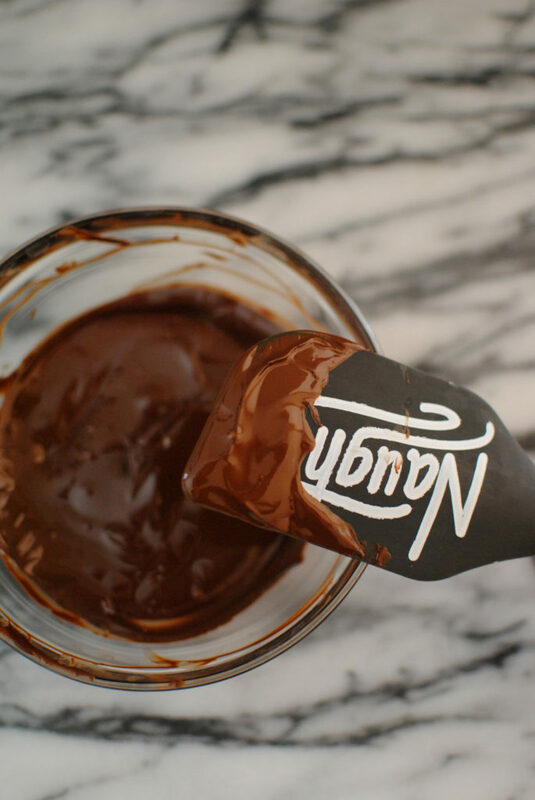 Love your tweak too – can never go wrong with the chocolate+almond+salt combo. 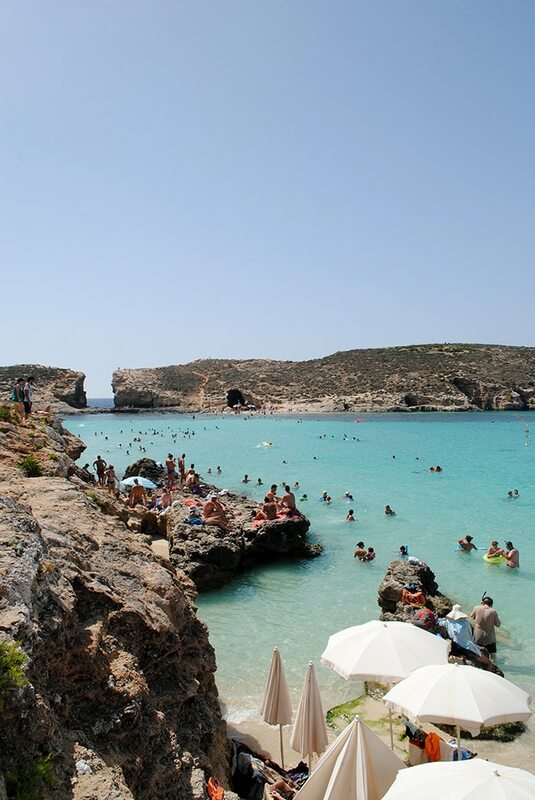 Your adventures in Malta sound like so much fun. Haven’t made it to that part of the world yet but definitely looking forward to it now. I love almond cookies. They are just so much lighter than regular cookies. Chocolate and almond such a classic combo. These cookies look awesome….perfect little treat. These sound SO GOOD! I love the minimal ingredients in the cookies too. So good!